Sometimes service members and veterans with TBI and/or PTSD find it easier to be alone, away from people — even family and friends. But ultimately, that is not healthy. Adam shares ideas to help loved ones ease back into life events without adding stress. Quick to Anger? Easily Frustrated? Reach Out for Help. It's understandable that service members and veterans can get angry or frustrated when witnessing people in the civilian world getting upset about something trivial like a coffee made wrong. Adam shares some ideas. Read more about Quick to Anger? Easily Frustrated? Reach Out for Help. Accepting changes in oneself after a brain injury can be difficult. But denying the changes, over the long run, will be more painful — for the injured person and those he loves. Adam shares his experience. Guilt never feels good. But it's important for service members and veterans with TBI to talk openly about these feelings with their family, friends, and therapists and realize that they are all working toward that person's best outcome. Adam shares his thoughts on the subject. When preparing children to see a loved one with a severe or moderate brain injury — one that may include significant changes physically and emotionally — it's best to be honest and upfront. Adam shares some good idease about how to help kids face the new reality of their loved one. Do you feel your anger start to hyper-escalate when someone steals your parking spot or cuts you in line at the grocery store? That is not uncommon for service members trying to transition back into civilian life. Adam suggests talking to someone who's been there, who understands. For some service members and veterans like Adam, returning from a depolyment can feel like riding an emotional rollercoaster. He recommends trying to recognize these emotions, to become more self-aware as a way to break the vicious cycle of intense emotions and frustration. One of the pitfalls of TBI can be a lack of motivation, but setting a small daily goal like cleaning the refridgerator or walking the dog can lead to bigger goals like lunch out or playing frisbee in the park with friends. Adam shares some ideas. 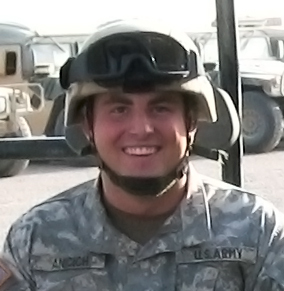 Adam shares an email from a Marine's wife about "brain fatigue." She worries that people — including her injured husband — think he is lazy or less proactive when it's simply a physiological symptom of the TBI. Adam offers kind and sage advice. Will Anyone Want to Date Me After a Brain Injury? Having a brain injury can sometimes make people feel differently about themselves, perhaps less confident, which can make meeting people challenging. Adam recommends slowly pushing yourself to engage in social activities ... and gaining back some confidence. Read more about Will Anyone Want to Date Me After a Brain Injury?